At the age of twenty-five, Louis Adrien, also known as “The Graduate,” became commander of the Némésis, a three-master built in the Tillé shipyards of Nantes. In his unpublished journals, he related his sea travels to the Carsawene and in the West Indies, as well as his encounter with lieutenant captain Diego Carlier, commander of the Furor. 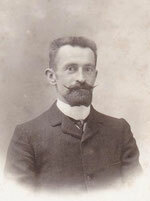 His son, Jean-Pierre Adrien (my father), related to me numerous details about him. Using these sources, I created the character of Louis Aurélien. Gabriela’s character was inspired by Evangelina Cosío Cisneros. On the orders of General Weyler, the young woman was imprisoned on the Isle of Pines (known today as the Isle of Youth), and then in Havana, before she escaped with the complicity of Karl Decker, reporter from the New York Journal. 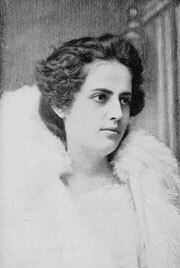 Numerous sources relate Evangelina’s adventure, in particular, the work of Karl Decker, The Story of Evangelina Cisneros Told by Herself (1898), as well as the recounting by the ex-prisoner herself, in the Cuban journal Bohemia (1967). Newspapers provide an image of events as they were perceived at the time – not necessarily faithful but always interesting. 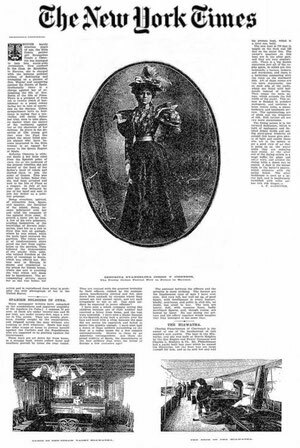 Many articles from the New York Journal and the New York World were reprised in subsequent publications, and it is unfortunate that the articles were selected by third parties. The entire collection of the New York Times is available on the Internet, and constitutes a raw, unfiltered primary source. French and Spanish newspapers and journals also described and illustrated land and sea battles on many occasions. Press correspondents present on the battlefield informed their readers with relative objectivity and often questionable ethics. Anecdotes about their stay in Cuba are so numerous that I had very little to invent when it came to creating the character of Jeremy Shark. On the other hand, I merged the traits of several journalists into one individual. 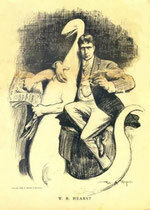 Those who might recognize in Jeremy themselves, or episodes familiar to them, are Stephen Crane, Richard Harding Davis, Stephen Bonsal, Edward Marshall, Sylvester Scovel, George Bronson Rhea, Karl Decker, Grover Flint, Julian Hawthorne, George Keenan, and Frank Norris, as well as the Frenchman Honoré Lainé, who was a sugar cane planter before becoming correspondent for the New York Journal.